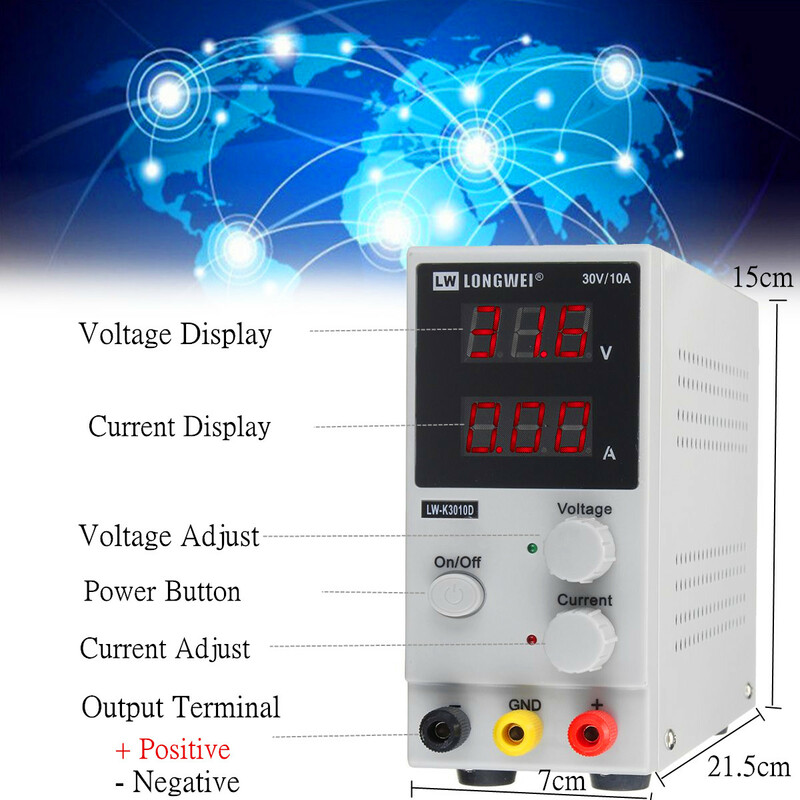 Suitable for school, laboratory, workshop and various occasions which need to use DC Power Supply. * This DC power supply can provide electronic devices of direct voltage from 0 to 30V and current from 0 to 10A. * Constant Voltage (CV ) & Constant Current (CC ) Function. * Continuous working failure rate is low. * With warm, overload, current limiting protections. 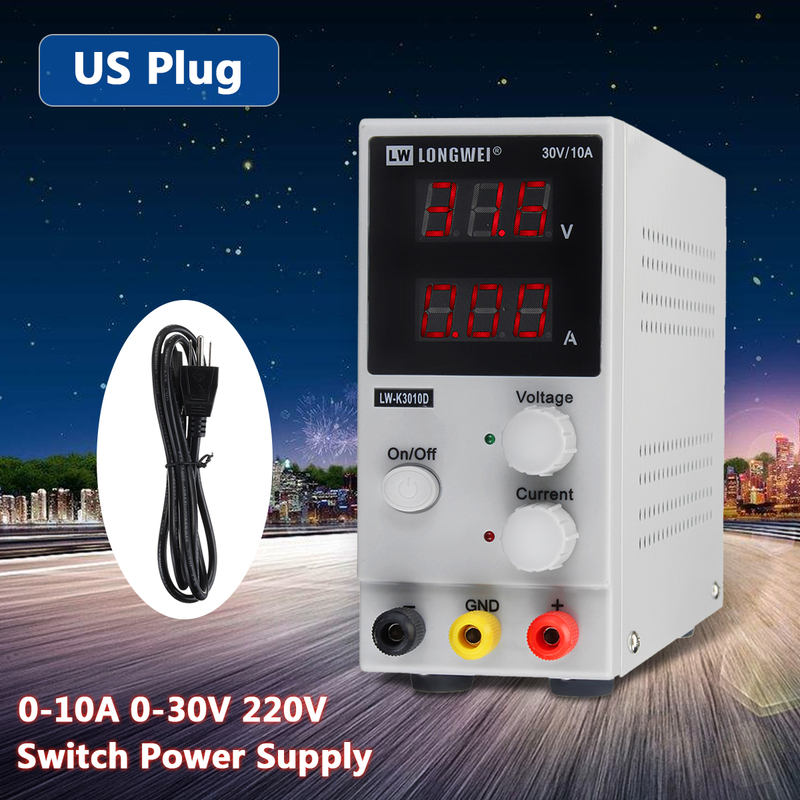 * Can be regulated power supply using also can be used for current, voltage regulator, steady flow can be automatic conversion. * With fan, can reduce heat for long service life.